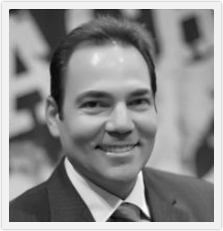 Meet Our Chicago Family and Cosmetic Dentist Dr. Louis R. Kaufman. Dr. Louis R. Kaufman is a nationally recoginized educator, author, and practicing clinitican. Born into a dental family, Dr. Kaufman is a graduate of the University of Illinois College of Dentistry. In 1995 he joined his father Richard's well-established 50 year old General Denistry practice treating 3rd and 4th generation patients. Dr. Kaufman serves on the advisory board of numerous dental manufacturers, consults on product development, and educates clinicans around the globe. He lectures at approximately 20 continuing education programs annually and has published numerous articles focused on restorative and cosmetic dentistry. Dr. Kaufman is also a licensed provider of NuCalm in office as well as take home NuCalm kits.